Andy started selling on Amazon in 2013 and hit 7 figures within the first 8 months. Before starting his Amazon business he worked for the US government in the aerospace industry and ran a 7 figure Android app business. In 2015 he started his first Amazon related SasS (software as a service) that got Amazon sellers reviews. In 2017 he launched Amzblitz, an Amazon product launch and rank company. In 2018, he rolled out SellerSEO, a service dedicated to helping sellers automate and optimize their Amazon businesses. He continues to sell millions on Amazon, and through his coaching and software has helped thousands of Amazon sellers grow their businesses. SEO and digital marketing plays a large part in getting your Amazon product listings in front of more people. How Andy made the decision to shift from having a career in aviation to being an entrepreneur. The businesses he started at a very young age. The challenges he faced while managing his businesses. So listen to today’s podcast and learn more about how you can take advantage of SEO and marketing tools to grow your Amazon business. Steve: You are listening to Episode Number 83 of the Awesomers.com podcast series and all you have to do is pop on over to Awesomers.com/83 to find any little details, show notes links and things that we talk about in today's episode. 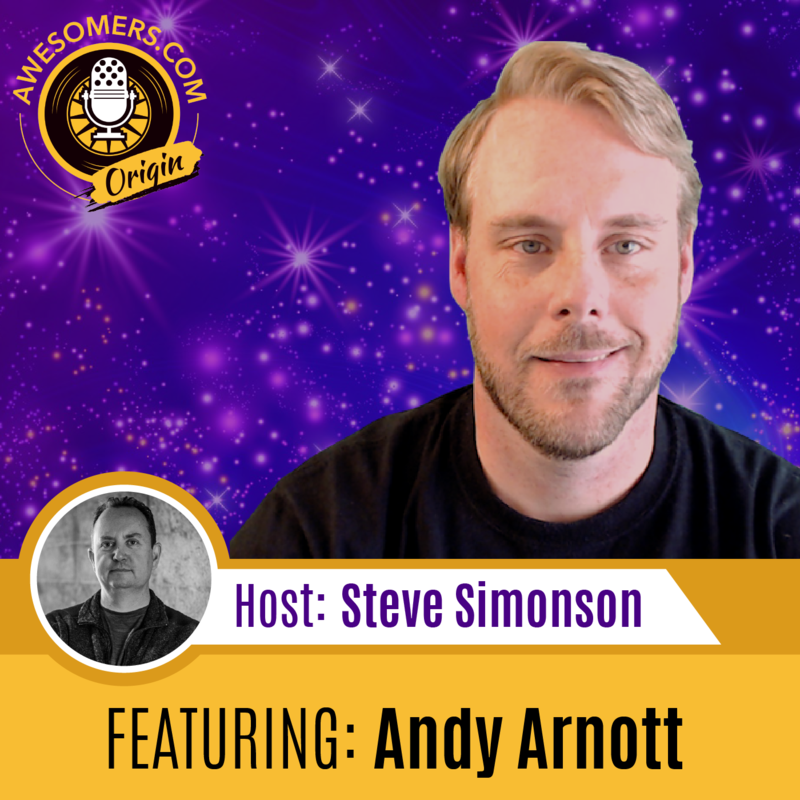 Now today is part one of a three-part episode with the entrepreneur Andy Arnott. Now, Andy started selling on Amazon back in 2013 and hit seven figures within the first eight months. Before starting his Amazon business, he worked for the U.S. government in the aerospace industry and ran a seven-figure Android app business. We're gonna talk a little bit about both those experiences. In 2015, he got his first Amazon-related SAS product, software as a service, that got Amazon sellers reviews. In 2017, he launched AMZ Blitz, an Amazon product launch and rank company and in 2018 he rolled out a new feature called SellerSEO, a service dedicated to helping sellers automate and optimize their Amazon businesses. He continues to sell millions on Amazon and through his coaching and software he's helped thousands of Amazon sellers grow their businesses. Now, Andy is a great guy to listen to and learn from and his origin story is as always inspiring and helpful to understand everybody's journey. It really is instructive and fun. Let's dive into today's episode. This is again part one of a three-part series with Andy right now. 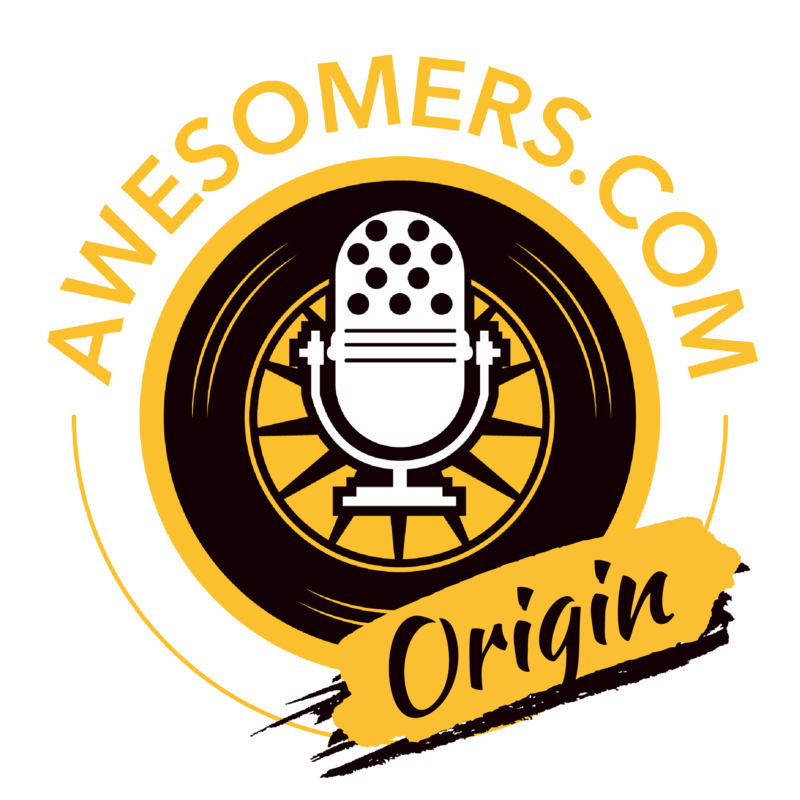 Everybody, Steve Simonson back again with another episode of the Awesomers.com podcast series and today we're joined by Andy Arnott. Did I get that spelling or the pronunciation right? Andy: You did. You nailed it and which is fine because I get the French one a lot, you know Arnott. They think the double T is silent and all that fun stuff, so yes, no you nailed it. Good job. Steve: If it was Arnott, I would’ve had no shot at it. I'm not going to lie so. Well, so that helps my average. Today, it's been running pretty pretty about 50% and for the month I would say I'm less than 50%. So, I'm thrilled to have a couple that I can get right. So, Andy I've already read a kind of your bio and the big-picture stuff during the read in here. Tell me just in your own words where you live today and kind of what takes up your day-to-day time. Steve: It's exciting when everything fuses together right, your interest and your experience all comes together and then you're really passionate about it. Yes, that’s right. Steve: Just selling Amazon stuff that early. Andy: Yes, yes and I also kind of have a knack for – well I shouldn't say, I mean it's probably a lot of luck to you, but I'm kind of good at seeing what's kind of what's next like skating to where the puck is kind of thing. Steve: A unique hockey reference coming out of Northern California, what's that all about? Andy: Well, when you asked me about what university I went to you'll – it’ll all make sense. Steve: Oh okay. We're tying it together. I like that little, that's a little foreshadowing for the audience out there. Andy: There you go yes a little teaser. Steve: Trying to get sense of what's coming. Steve: So, I can't wait to dig in and maybe we'll do that right now because I love what I call the Awesomer origin stories. Where do people come from? Where did they begin and it's really from the very very beginning of where were you born? Steve: Yes. So, I mean I can do the math on hockey, that's the heart of hockey country really. Andy: That's why I said it gets interesting. Andy: Well, yes yes. So, I was lucky my childhood home until I was about 10 years old was in a town called Hilo. I don't know if you're familiar with that. It's on the Big Island. Andy: And there's a surf area called Honoli’i and Honoli’i is kind of world renowned. It's you know it's very well known and the neighborhood in I grew up in was about a half mile walk to that beach. So, we used to walk down to the end of our street and then there was this crazy cutback dirt trail that we kind of cut through as kids. We'd get to the bottom, you'd have to swim across the – there's kind of a river that goes into the ocean or you'd swim across that to the beach and then you'd swim out to the break and catch waves and we'd stay there until you know usually early evening, 5:30. Sometimes we’d you know sit on the beach and make little bonfires and then you know. You know, it's different times back then where your parents just sent the kids off and didn't worry about you you know and then we'd be home by dinner and yes it was, it was a pretty magical childhood I would say. Andy: Exactly, yes. Times have changed unfortunately. Steve: Yes. It's a much more of an accounting. I'll need a point-by-point Google map of where you are and you know, triple triangulate that on the phone. Andy: Yes and here's your GPS watch that you must wear at all times. Steve: Oh my God, get me one of those for my daughter who's starting the drive. Hopefully, it won't apply to me because I definitely like to move. So, all right, so now you mentioned that your parents were there in Hawaii, what kind of work did they do? Andy: Exactly and in Hawaii or in Hawaii nonetheless where you got some of the best food and golfing you know in the world. Steve: Yes, oh man, yes. It sounds like a real challenging environment. I know those guys have to work and so forth, but that's a pretty good gig for sure. Steve: So, how about any siblings? Anybody running around? Andy: Yes, yes. I have a sister and she lives in the Midwest and she actually ended up being a flight attendant as well for American Airlines so. Andy: Yes. We've got kind of a big aviation background and when you know when you hear more of my story, I was in the aviation industry as well before I started doing all this, but I – my cousin is a pilot as well and things like that so. So yes, I grew up, you know I grew up in Hawaii, enjoyed that and then my parents were – my mom was a flight attendant, but she was always you know pretty entrepreneurial. She used to take – I remember she would grow orchids and then take them to Japan because she was you know she'd fly to Japan a lot and then sell the orchids there and make a nice profit and then she also had a craft store at one point. My dad was also fairly entrepreneurial. You know, fireworks in Hawaii is kind of a big thing and at one point we had fireworks stands and I remember being in high school and helping him with that. And so it was yes, I mean we kind of had a little bit of the entrepreneurial spirit going through, you know through the family as well. Andy: Absolutely. Well yes, so growing up with my mom being a flight attendant, yes I mean we got to go – you know when I was growing up we went to the mainland a lot because we had family all over, so you know we had family in Jersey and you know in California and just kind of – Florida, all over the country so you know we'd go there. We’d go to – I remember going to New Zealand when I was like 13 years old, still one of my favorite places. I've never been back, one of these days soon, but yes we get to travel a lot so we were kind of lucky in that sense you know my mom being a flight attendant, that kind of worked out nicely living in Hawaii, but still being able to get off the island and seeing new things, yes. Steve: It's a good combination I think to be able to have that Island life, but to be able to kind of plug back in where you want to. Steve: Thank you for saying college because yes that's – I'm sure that that had some good times behind it. So, before we kind of break into the rest of your origin story let's take a quick break and when we come back we're going to talk about university, maybe get a clue as to the hockey connection. Yes. We're going to do it right after this. Steve: Hey everybody, I wanted to share another Awesomer hero with you. This hero is found on iTunes in the review section with the five-star review from Howie Rules. The title is knowledge is equity. And the review goes on to say I met Steve at a lunch table at ASM4 in 2015 and he changed my life with his advice and mentorship after that. This podcast is a continuation of that mentorship and it's a must listen for all entrepreneurs especially E-commerce folks. Now, I won't disclose your identity, but I know who you are and because I remember that lunch table in 2015 and I really just wanted to say a big thank you. You are my hero. I appreciate the shoutout and the sharing, that review on iTunes. Those reviews in fact are quite helpful to us and I appreciate your kind words. You know, if this podcast and anything else that I do is additive to entrepreneurs and Awesomers around the world then that just makes my day. I'm thrilled about it and I love to see it and I hope those of you out there listening will consider taking a moment and let us know how we're doing. I love the 5-star reviews obviously. My feelings are hurt if it’s below that, but to be honest if we earn less than that then go ahead, let us have it and tell us how we can do better. I'm all about trying to deliver something of true value and best of all for you, the price pretty good and free is hard to beat. Steve: And here we are back again everybody. Steve Simonson joined by Andy Arnott. I'm going with Arnott instead of Arnott, but it could have gone either way. We'll find out why here in a minute. So, Andy so as you’re coming up obviously great life in Hawaii, enjoying the time there, how about university? Andy: Yes. So, I went to the University of North Dakota from Hawaii, which everyone thought I was crazy, but there's kind of a funny story behind that. You know, when I graduated my dad said, “Okay, pick a college to attend.” And I said, “Oh, I want to go to Chico because I want to study Computer Science.” And he goes “No way. I have a friend at Chico. I know what that school is like. You can't go to Chico.” And so I ended up – my two passions were aviation and computers, and so I ended up going with the computers or with aviation, sorry, and so I went to University of North Dakota, one of the top aviation schools in the country, which a lot of people don't know, it's kind of funny. So, I went there. I wanted to be a pilot, so I went and got my pilot's license, so I did that. Once I got my pilot's license and kind of got into that whole field, I just decided that it wasn't really for me. You know, I had this vision of like Top-Gun-type flying and I had actually you know talk to some military recruiters in high school and thought about trying to go that way, but that didn't work out. But once I actually started flying, I was like this is boring, you know this is not my ideal. Someday I want to fly again, but just you know to go from point A to point B to make it easier to travel, but it's definitely not like a passion, you know something that I would want to do all the time just because. So, I found out that my credit is transferred to air traffic control, so I ended up studying that. I never actually thought that I would actually do that as a job, but I graduated with the degree and about a year after college, between being done with college and then you know moving on to my aviation career, there's about a year there and I was bartending you know in my college town still and but I was still super entrepreneurial. I had started businesses you know super young. One of my first businesses in college you know broadband I was in college in ‘96 to 2001 and that was kind of the adoption of broadband and back then you know it was kind of hard to find broadband. So, I built a website called ISP Spider and you could put in your address and it would compare all the different packages and then I had affiliate links that would go and give me a referral for all that, so that was kind of my one of my early entrepreneurial things though I had tons, probably you know 30 over the years if not more, all kinds of different stuff, but so I did that and that was fairly successful and then towards the end, this is when hotspots were also starting to kind of be a thing and so my business or my roommate and I at the time kind of wrote a business plan. We decided we're going to move to a suburb of Chicago, kind of near my sister and we're going to start a hotspot business. Well, right around that same time I ended up getting a call from the U.S. government saying “Hey, we have a job for you in California.” So, you know I thought about it and I talked over with my parents and of course you know they want me to do the safe thing. I don't blame them at all being a parent of three children. No, I don't blame my parents for any you know any care or guidance that they gave me they were doing the best that they can, but you know they’re – hey, take the safe you know do the government job and so that's what I did and in retrospect you know I probably should have done the other thing, but I am where I am today because of the steps I took and I kind of feel like I'm where I'm supposed to be, so that was kind of the right choice in the end. So yes, I moved out to California and I was an air traffic controller for 13 years. During that time though I always had you know some side business that I was working on now. At one point you know when I was a single young 20-something in California, I didn't know a lot of people you know I wanted to start meeting girls dating, so I got into the online dating scene a bunch, ended up creating my own website and I actually I don't know if you know Plenty of Fish, that website is still around. Markus Frind was the webmaster of that. Andy: Yes, it was massive. So, I started competing with them and I probably would have beat them if I hadn't – I ended up doing a big site redesign and tried to add so many features that it broke the site. I had 100,000 members at that time so. Andy: Yes. So, I kind of shot myself in the foot on that one, but you know every business you start you learn something, so I kind of took that lesson and move forward, but that's just an example of you know one of the many things that I've kind of done throughout the years. Steve: Definitely it's a variety that I've heard so far, but I'm curious about the air traffic control because that's 13 years. That's a pretty – it seems to be a pretty high stress environment. Steve: I don’t care essentially, yes. Andy: Pretty much. We won the College National Hockey Championship I think twice or three times. We at least won it twice and I think we might have been to the playoffs like every year I was there. So, I really kind of grew – the love for hockey kind of grew from that. You know, winning national championships in any sport being in a small school like that was pretty amazing and awesome to be around so. Steve: I'm sure. Now, I'm not a – what are the climate guys called, meteorologist? Steve: But I'm pretty sure North Dakota is frozen 9 out of 12 months is that fair to say? Andy: It's cold. You’ll honestly get used to it though. I mean everybody thought it was crazy especially and I remember I used to have to pull out my driver's license every time somebody asked me where I was from when I was going to school there, I'd say “Hawaii.” They're like “BS, come on, no way.” So, I'd have to pull out my – until I had to give it up. Well, I still had it. My freshman and sophomore year, I had to pull it out and be like “Here you go.” And they're like “Oh my God, you're crazy” you know. Steve: Yes. I don't know how big the student body is there, but I'm going to guess in the thousands and I bet you can count on one hand, maybe one finger how many people from Hawaii. Steve: Yes. I'm checking out for today. I definitely spent some winters in North Dakota and it gets cold for sure. Steve: I've got an idea. Let's take a commercial break and we'll be right back after this. Steve: You know, I always find these origin stories to be so interesting and this is no exception. You know, Andy's journey from the things that you know were working or even when they were working they still face challenges and we're going to talk about more of those challenges and opportunities that happen in the rest of our episode series with Andy. Now, Andy is going to be on for three parts. This was part one of those three parts and this was Episode Number 83 and all you have to do is pop on over Awesomers.com/83 and you can see today's show notes, details and probably even a transcript produced by our talented team. Thanks for listening. We are thrilled that you're here and we hope that you're finding extraordinary value in every episode.